Ed has spent the last eight years in the financial services industry as both an advisor and a manager. 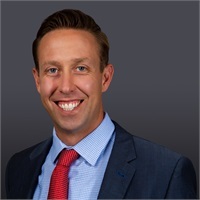 He specializes in holistic investment planning for the clients of Summit Financial Partners and has dedicated his career to helping individuals and families achieve their financial goals. Ed has his Bachelor’s in History from UMass. He and his wife, Alyona have two sons, Nik and Phil. He is an active member of his community, coaching his sons in youth hockey and little league baseball. In addition he also enjoys playing golf at different courses all over the country.